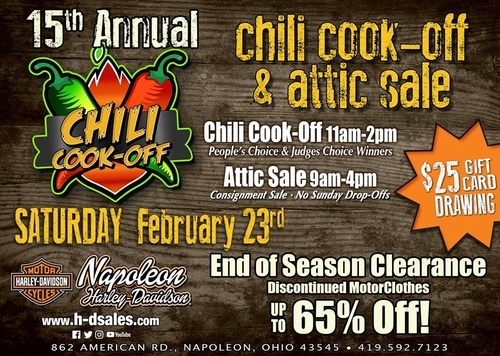 It's the 15th annual Chili Cook-off and Attic Sale at Napoleon H-D Saturday, February 23rd. Come hungry and sample some great chili! Cast your vote for People's Choice!